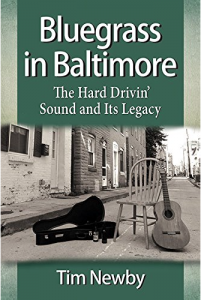 “Bluegrass in Baltimore” makes a great read! I was so excited to receive my copy of “Bluegrass in Baltimore: The Hard Drivin’ Sound and Its Legacy” by Tim Newby. A while back, Tim had asked me to contribute information about my hero and friend, Walter Hensley, which I was more than happy to do and then, quite frankly, I totally forgot about it. To say I was thrilled by what I read is an understatement, I’m overjoyed and overwhelmed with gratitude to have been a part of this wonderful contribution to the genre I love so much. 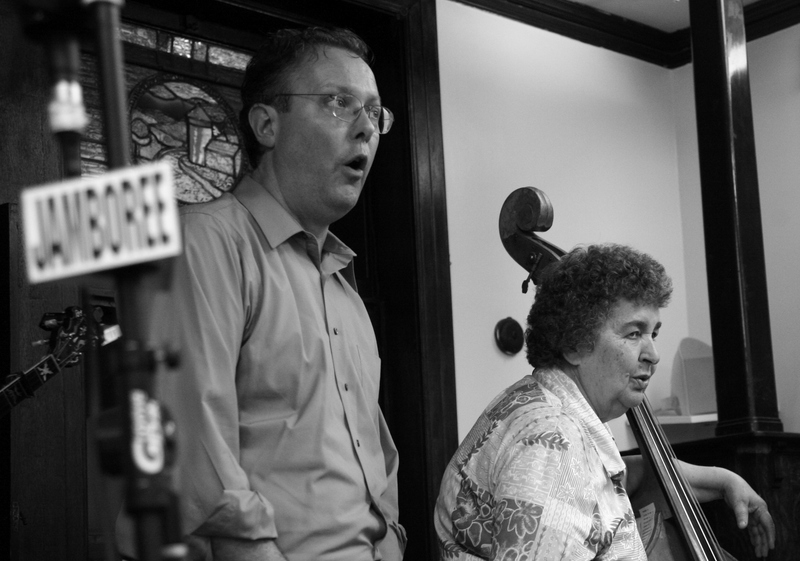 Not only did Tim capture the flavor of bluegrass in Baltimore, he conveyed its’ very essence. 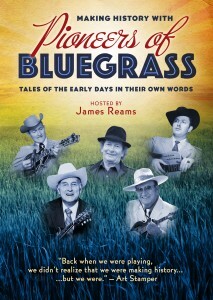 In a fluid style that captivates the reader from the preface to the final chapter, Tim’s passion and depth of knowledge regarding this rich and “woefully under-documented” history of bluegrass permeates every page. I couldn’t put it down. I was especially touched by the tribute this book pays to Walt as well as honored to be included in a work that is destined to be a bluegrass classic and must-have for any bluegrass historian. Hats off to Tim Newby for a delectable slice of bluegrass pie! The book is now available on Amazon, at Target and probably a bookstore near you. Click HERE to see a video about the book. I was just facebooking with Hazel’s son, Herman, this past weekend and learned that Hazel wasn’t doing well, but her death still came as a shock followed by a deep sense of loss. I’ve idolized the White Mountain Band since I moved to New York in the 1980s. Their music really spoke to me and reminded me of my early childhood days listening to singing from backwoods Baptist churches and church camps. Hazel and Mac epitomized that haunting mountain harmony that is a signature of original bluegrass pioneers. I remember the year that Hazel & Mac performed at the Park Slope Jamboree. It was such a thrill to join them on stage and sing a few old gospel songs with them. Their contribution to the music we love will live on forever in the worldwide community of bluegrass. I’m sure Hazel is making herself at home in heaven. All of Arizona, and the nation, is reeling from the deaths of 19 brave firefighters who lost their lives on Sunday fighting a wildfire in the Yarnell area some 30+ miles southwest from their home base in Prescott. Highway 89 is dotted with small towns and villages, some with less than 100 people. These quaint little towns are close-knit communities. It reminds me of the hills and hollers of Kentucky. Everyone is treated like family. The residents of the towns that the firefighters were trying to protect have put things in perspective. In many cases, these are homeowners who have lost everything. But they have all said that property/belongings can be replaced; lives can’t. To lose so many young people so quickly is devastating and our prayers are with the families and their loved ones. Mother’s Day is coming up…as if one day to honor our mothers is ever enough. For many of us, our mothers were the ones that gave us the courage to pursue our dreams and supported us when the struggle to reach those dreams seemed overwhelming. My mom was my number one fan. To say that she was influential in my career is like saying Bill Monroe was influential in bluegrass music! Back when I was just a little kid, she used to sing Carter Family songs with her sisters and was always urging me to join in. That’s how I learned to sing and harmonize. The words of those old songs still take me right back to our home in Kentucky and those summertime singalongs. And boy was she proud when I sent her my first album, you’d a thought I was the President! But when I was nominated by the IBMA as Emerging Artist of the Year in 2002, she said, “I’ve always believed in you.” And that meant more to me than any award. She’s been the inspiration behind many of the songs I sing, heck, she’s the reason that I even sing at all. 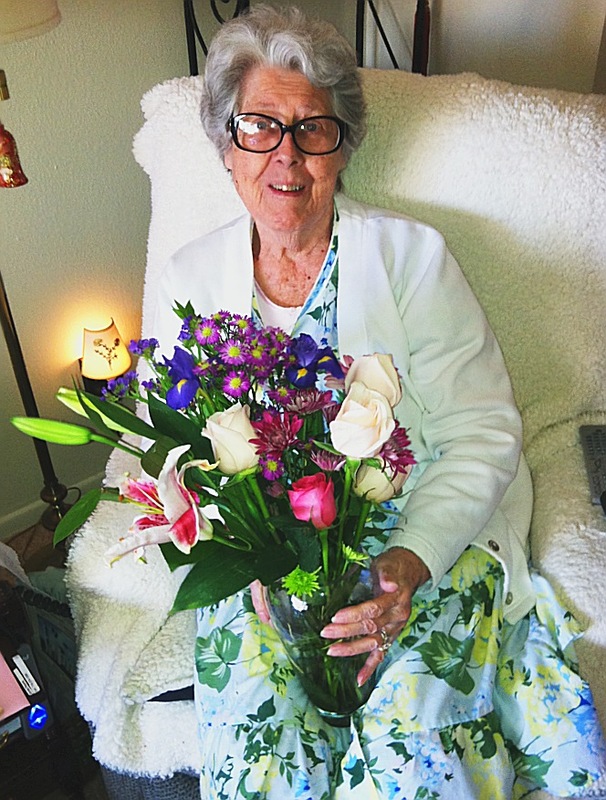 Just last year, I took her a big bouquet of spring flowers for Mother’s Day and her whole face lit up. She so loved bright, pretty flowers. This year, she’s gone. I know she’s still my number one fan up in heaven and that she’s now able to make it to every show. But, I still miss hearing her voice and that feeling of love that comes from a mother’s hug. Just got back from a wonderful trip to Kentucky for a presentation to the International Bluegrass Music Museum (IBMM) in Owensboro — my home away from home! 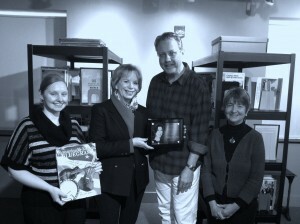 A plaque honoring my partner, Tina Aridas (who passed away in 2011), will be displayed in the museum’s library. My friend and director of the museum, Gabrielle Gray, told me that Tina was instrumental in getting the library established at the museum by donating a substantial number of books to get it started. And I brought one more volume to add to the collection, a limited edition of America’s Music: Bluegrass. As a former teacher, I was excited to hear more about what IBMM is doing in the community to promote our music. Since 2003, they have been running the Bluegrass in the Schools (BITS) program that introduces over 8,000 elementary students at 24 schools to the world of bluegrass music. And, several hundred residents of all ages participate in the Saturday Lessons Program that provides a free instrument loan and modestly priced lessons from professional bluegrass instructors. 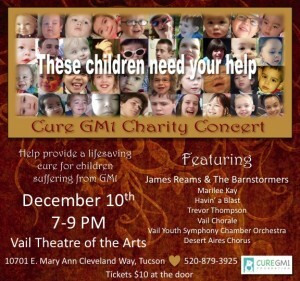 These are truly remarkable programs that bring together young and old, helping to foster a love of this music and the desire to keep it going. I wish more programs like this were available. Check out their website and see how it’s done! While in Owensboro, I was amazed at all the new development along the river front with playgrounds, brick sidewalks, world-class hotels and restaurants. 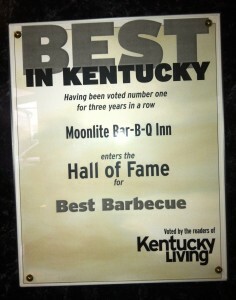 And speaking of restaurants, I couldn’t pass up an opportunity to sample some of Kentucky’s best barbeque at Moonlite Bar-B-Q Inn. If you’re ever in Owensboro, be sure to check out this family owned business. You’ll see why I was smacking my lips and licking my fingers. We don’t get this kind of barbeque in Phoenix! While Gabrielle and I chowed down on some melt-in-your-mouth BBQ mutton (an Owensboro speciality) with all the fixin’s, she told me that the museum has gotten so big that they are looking at relocating to a larger facility. Although I have a lot of fond memories of the current museum, I know that bigger is better in this case! More room to preserve precious archives and memorabilia, better equipped music rooms for the Lessons Program, a larger research library…I could see that faraway look in her eyes as she described her vision for the future. And all this is in her grasp with the current matching grant challenge from the KY Arts Partnerships. 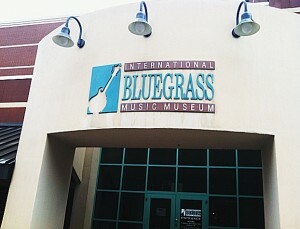 I’ve made a little extra donation to the museum to help out and encourage bluegrass lovers everywhere to pitch in too! Click here to donate. I can’t say it was love at first sight, more like love at first word between my partner of 15 years, Tina Aridas, and bluegrass. When she passed away from cancer in early 2011, it sent shockwaves through the bluegrass community; even Bluegrass Today carried an article. Gabrielle Gray, Director of the International Bluegrass Music Museum (IBMM) in Owensboro, KY came to her memorial service and delivered part of the eulogy. She noted that one of Tina’s amazing talents was her ability to reach people from different parts of the country and even the world, connecting them through music and her written words. 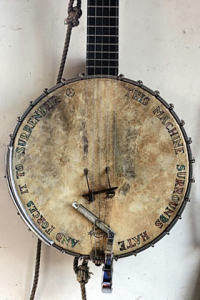 And this February, a special plaque that recognizes Tina’s work and effort in promoting and preserving bluegrass as a fine slice of the American music pie will be presented to the IBMM. Her love of the written word gave her a deeper appreciation for the story songs and folk poetry that abound in bluegrass and oldtime music. The wordplay and interchange of ideas spurred her to start writing lyrics for songs and to encourage me to write original material. We started on a journey of collaboration with these new songs that brought real excitement as we contributed to the tradition that we loved. Tina’s introduction to bluegrass and oldtime music was through the Glen Campbell Goodtime Hour television program. She would wait anxiously to see John Hartford play his banjo with Glen Campbell. And she shared this love of music with her brother as they were growing up. I was already playing at the GCMP, but Tina took it up a notch. She started doing press releases and sending emails that helped develop a loyal following for bluegrass music in the Brooklyn area and beyond. Since we already had our foot in the door at GCMP, we were able to bring in some great acts like The Sullivan Family, the amazing flat pick genius of David Greer, and White Mountain Bluegrass to name a few. Over the course of 20 years, this venue became the “go to” place for roots music in NYC featuring a virtual Who’s Who of music performers. As guests showed up at our real house to play music or record, Tina developed a true passion for the genre…some might say she was a bit obsessed with bluegrass! Tom Paley teamed up with Bill Christophersen and me as the Mysterious Redbirds to release a recording in 1998 on a national record label thanks to her efforts. During the years that followed Tracy Schwarz & Ginny Hawker, Alan Jabbour, John Cohen, Walter Hensley, Jon Glick, David Grier, Enoch and Marge Sullivan, Alice Gerrard, John Herald and many others came to call and play. I remember the turning point in my career. On the way home from a gig, the van broke down. While stranded in Massachusetts, Tina and I went out for a walk and passed this church. On the sign outside the topic for the sermon on Sunday was posted. All lit up at night that sign from God said “Build a Better Barn.” She looked at me and said, “That’s what we’re going to do, we’re going to build a better band.” From that point on we concentrated on creating a regional band that would have a national reputation. With the release of our 2011 CD, One Foot in the Honky Tonk, we did just that — making top ten lists and having a single that charted nationally. As our relationship grew closer, she became further immersed in the history of bluegrass. 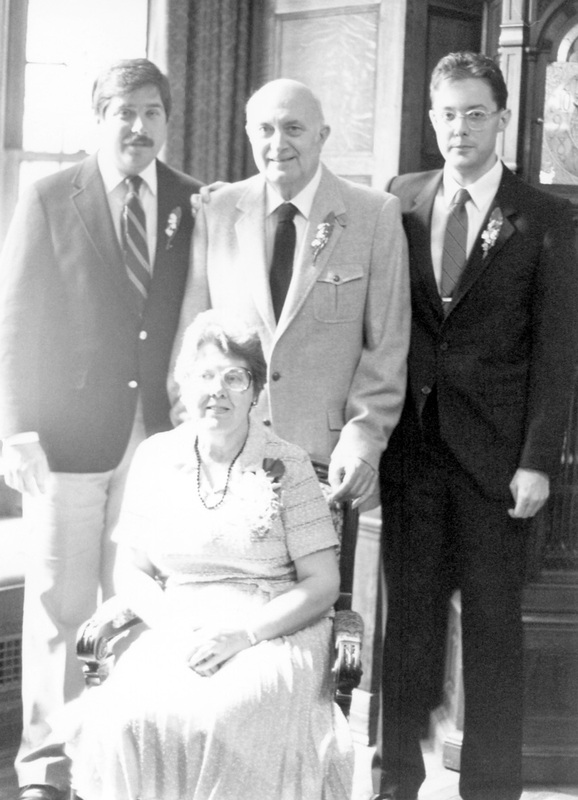 A voracious reader, she soaked up stories of the Carter family, Bill Monroe, and Stanley Brothers like a sponge and, in the process, collected quite a library of books and literature on the subject, many have been donated to the IBMM library. As a masterful writer, she chronicled this knowledge; writing liner notes, newspaper articles, comments on websites, any place she could get a word in edgewise! She became a real voice for the Northeast and its contribution to bluegrass music; her name is still recognized by every major writer in the genre. Her writing about Walter Hensley in the liner notes for our CD “James Reams, Walter Hensley, and the Barons of Bluegrass” was described as history-making by one reviewer and appeared on a Washington DC bluegrass website as well as being included in the book “True Vine” by Mike Seeger. I was especially touched when I received a copy of Mike Seeger’s book and read so many quotes credited to Tina. Along the way she encouraged me to fulfill a dream of capturing some of the remaining pioneers of bluegrass on film. She was the instigator of behind-the-scenes interviews with such legends as Jimmy Martin, Kenny Baker, and Bobby Osborne. 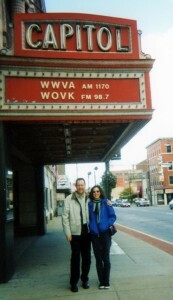 Then she helped put together the first preview of the film that was included with our CD “Troubled Times” in 2005. The IBMA even used this preview of the film as part of their Bluegrass in the Schools curriculum a few years ago. This program encourages teachers nationwide (elementary through university levels) to become more “bluegrass aware.” I’m happy to say that in 2013, the fruit of her labors will be realized with the release of the DVD documentary, “Making History with Pioneers of Bluegrass Music” which will coincide with James Reams & The Barnstormers 20th Anniversary Coast-to-Coast Celebration tour. Tina was instrumental in creating a real community of bluegrass and traditional music. She helped co-found the NY Bluegrass-Oldtime Discussion Group on Yahoo that allowed people to communicate their love of roots music. After the twin towers fell WKCR, a local radio station that announced bluegrass and oldtime music events, stopped for a while because their broadcasting antenna was on top of one of the towers. So the NY Bluegrass-Oldtime discussion group became even more active and helped bluegrass music continue and grow in the City during WKCR’s absence. 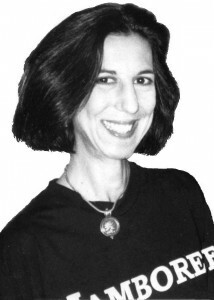 When anyone in the industry needed help promoting a show in NYC, Tina was usually called in. Ken Irwin of Rounder Records and Del McCoury, to name a couple, used her amazing talent for communicating. 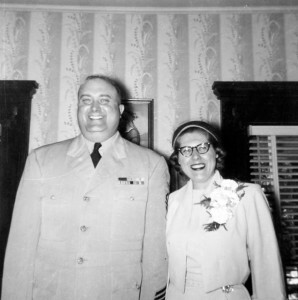 And she was the driving force behind James Reams & The Barnstormers, relentlessly pursuing record label deals and prestigious venues to showcase our talents. I often told her that I felt like a grasshopper on a plow. She was the plow and I was the grasshopper just sittin’ there lookin’ like I was kickin’ up all that dust. Now I’m having to learn how to be the plow and, I’ll tell you, I’d a whole lot rather go back to being just a grasshopper! After her death, I received hundreds of emails about Tina from fans, DJs, presidents of bluegrass associations, and owners of record companies — so many stories about her kindness, sense of humor, and insights — written words now honoring her. She believed passionately in bluegrass music and in the people who made it. I can just imagine her encouraging those harp players in heaven to take up the banjo and play along with Charlie Poole.